Your Commonwealth Assistance Notice will be available to you after the census date if you have FEE HELP or VET FEE HELP. You will receive an email notification when the form is available to you in my Student Centre. Your CAN includes important information about your enrolment, any HELP debt you have incurred, loan fee you may have incurred and/ or any student contribution amounts you have paid. If you are having trouble logging into my Student Centre please contact the Service Desk or 1800 333 864 (1800 FED UNI). 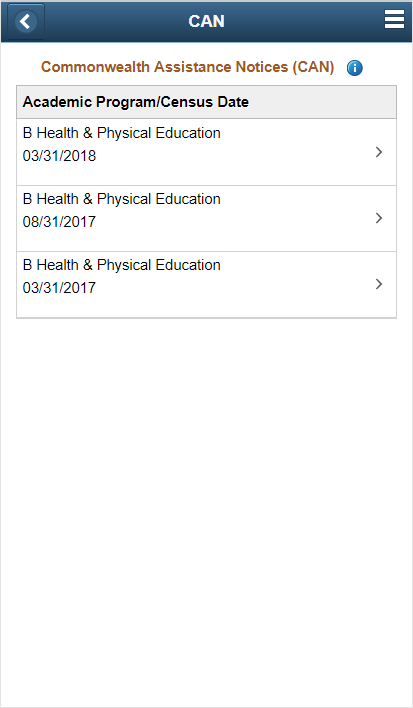 Select the Campus Finances tile. 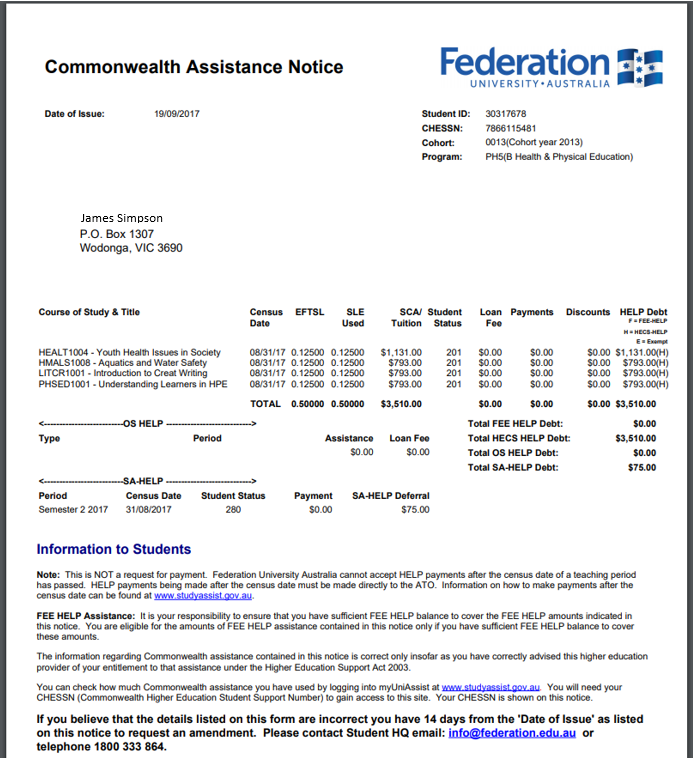 Click on Commonwealth Assistance Notice. If you do not have a CAN you will receive the following message. Click on the CAN to view as a PDF. A PDF version of your CAN will appear in another tab. Ensure your pop-up blockers are disabled.